Welcome to Lee's Boston Drum Builders Blog! This is where I'll post my ramblings about this, that and the other including drum projects as they come in and move along. You never know what you're going to find when you open up a 90 year old drum . . . 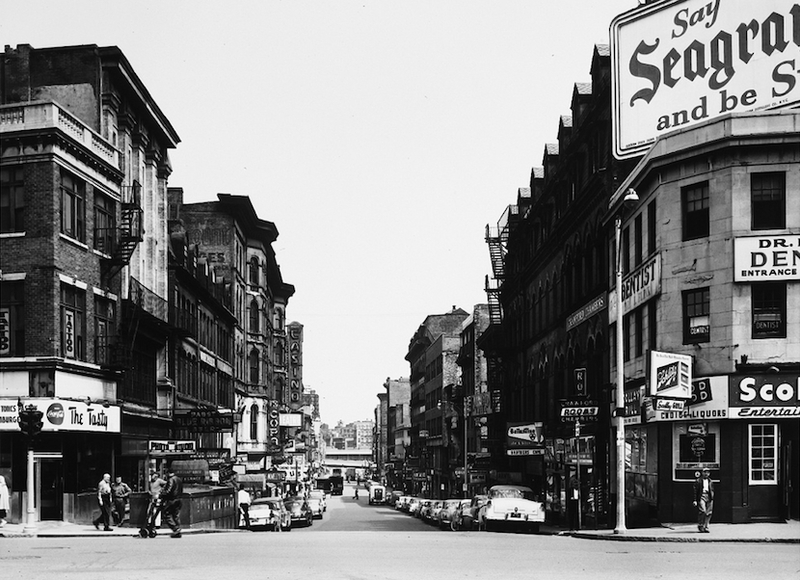 So to kick things off, and since this seems like the logical place to start, here are two pictures from the MIT Library Archives dating from the 1950s overlooking Boston's Scollay Square. 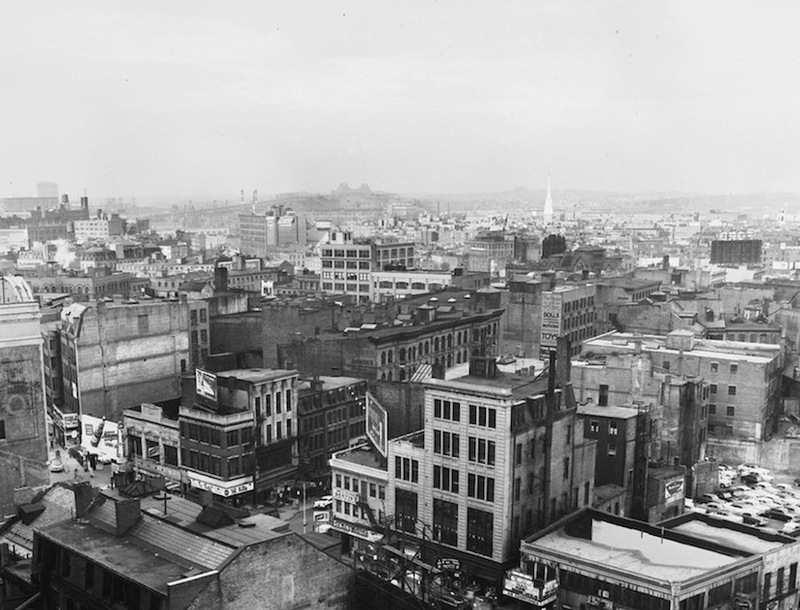 A few years later, most of the buildings in the neighborhood met their demise due to so called urban renewal. All of the Boston drum companies were long gone by this time (okay, Elmer Stromberg was building guitars until his death in 1955 and George Lawrence Stone still operated the Stone Drum School even after the drum building equipment was out of use and eventually sold off), but both Stone and Stromberg operated out of this neighborhood in their respective heydays. The second photo looks down Hanover Street in the direction of the address occupied by Stone for most of their existence.